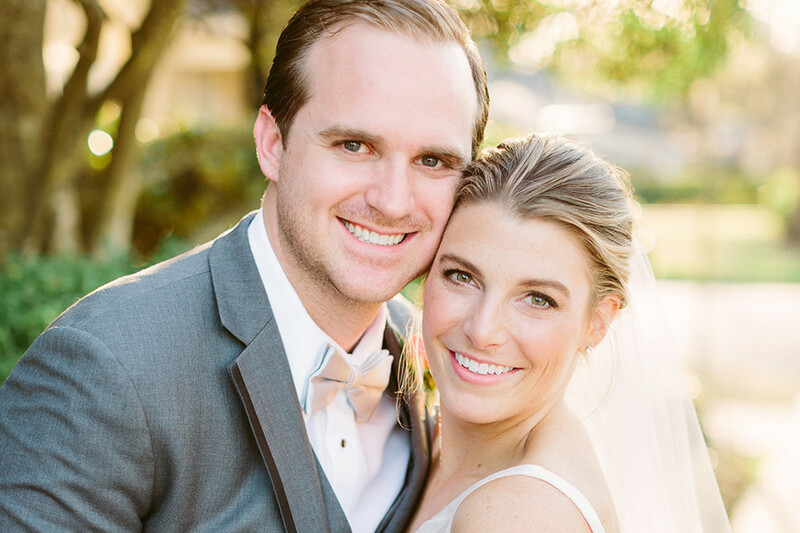 Anne-Elise Hawkins and Brad Parker met during college at the University of Arkansas in Fayetteville. In true Razorback fashion, the two formed an instant connection one night on Dickson Street. 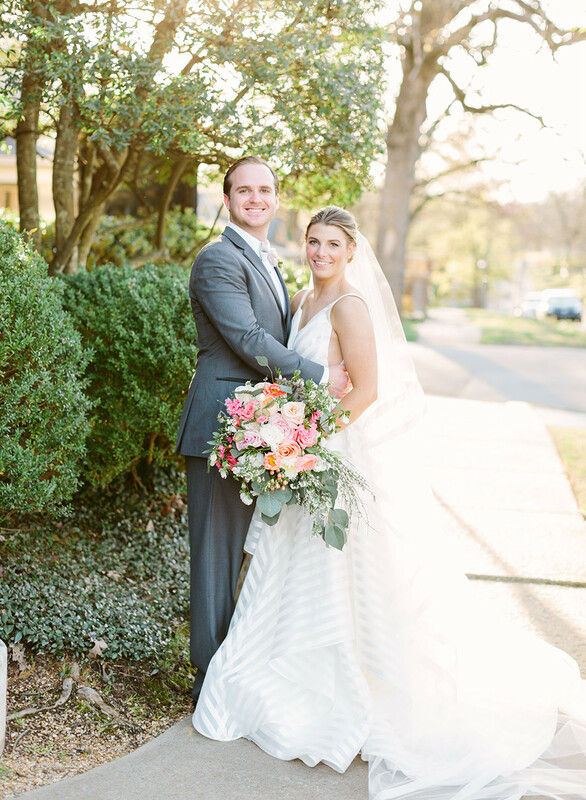 Anne-Elise Hawkins and Brad Parker met during college at the University of Arkansas in Fayetteville. In true Razorback fashion, the two formed an instant connection one night on Dickson Street. The two dated briefly that semester but didn’t see each other again for three years. 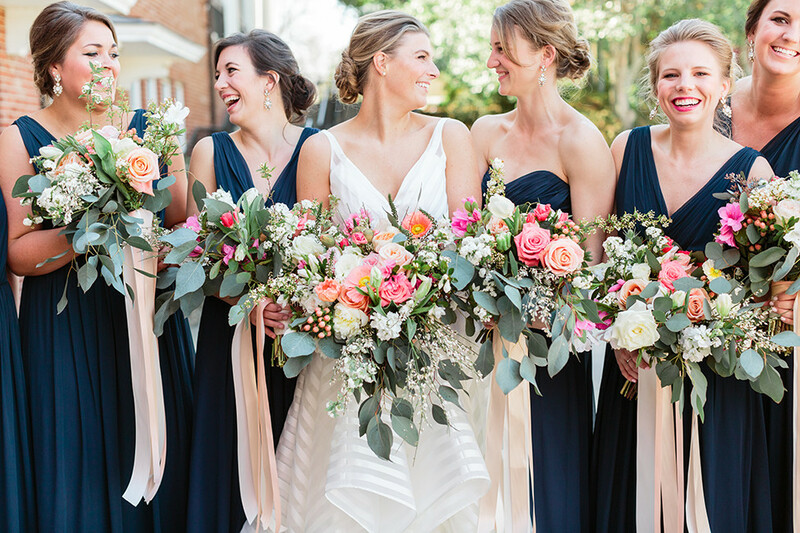 As fate would have it, the two rekindled after running into each other at a mutual friend’s wedding in the summer of 2014. 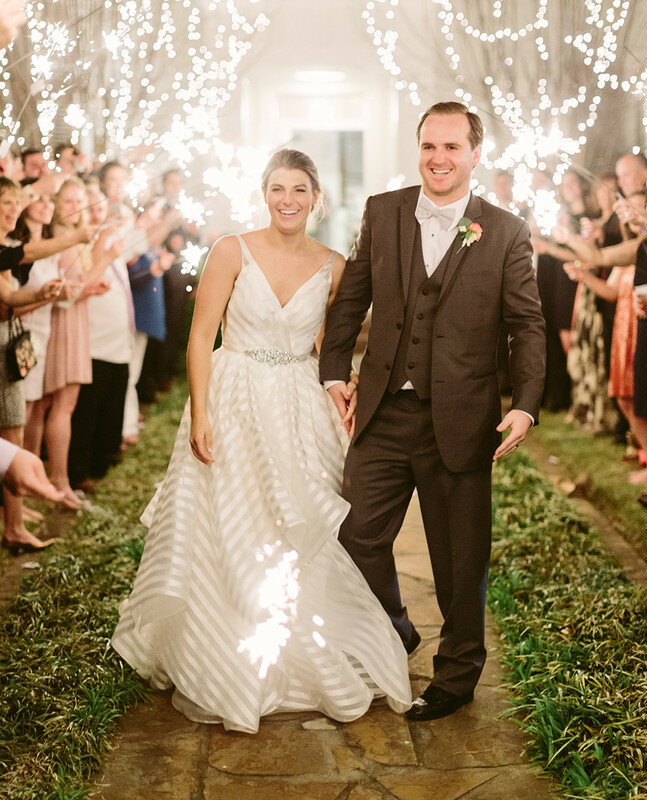 Despite dating long distance while Anne-Elise finished graduate school in Nashville, the couple powered through, making weekend trips to visit each other at least once a month. After Anne-Elise accepted a job in Bentonville (and the couple finally lived in the same area), she took a trip to Argentina with Habitat for Humanity. When she arrived back to the U.S., Brad was there waiting in baggage claim with her favorite flowers and a big hug. He joked that he had something else for her and pulled out a Ring Pop. Anne-Elise thanked him and put it on her pinky. He said he had one more thing for her and pulled out Anne-Elise’s great-grandmother’s solitaire diamond ring. After lots of laughs, hugs and “I love yous,” the couple headed off in a luxurious limo for just the two of them. Anne-Elise immediately hired wedding planner Anne-Claire Allen after Brad proposed, and the two worked together to come up with a theme. 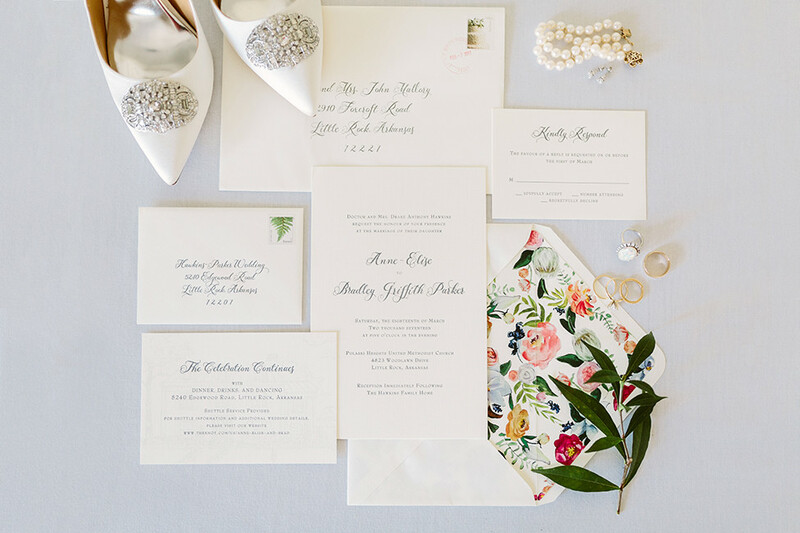 Anne-Elise was inspired by the South, classic and traditional wedding elements and special family details. 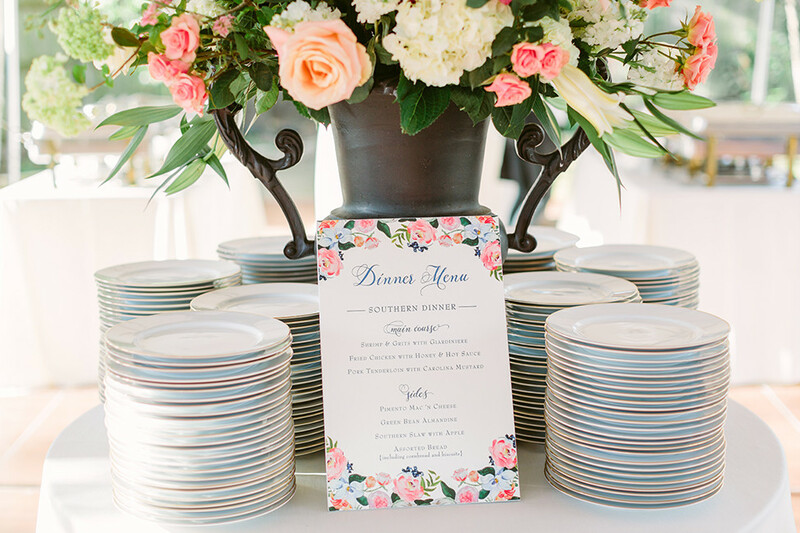 The final product was an intimate, romantic wedding with plenty of Southern whimsy. 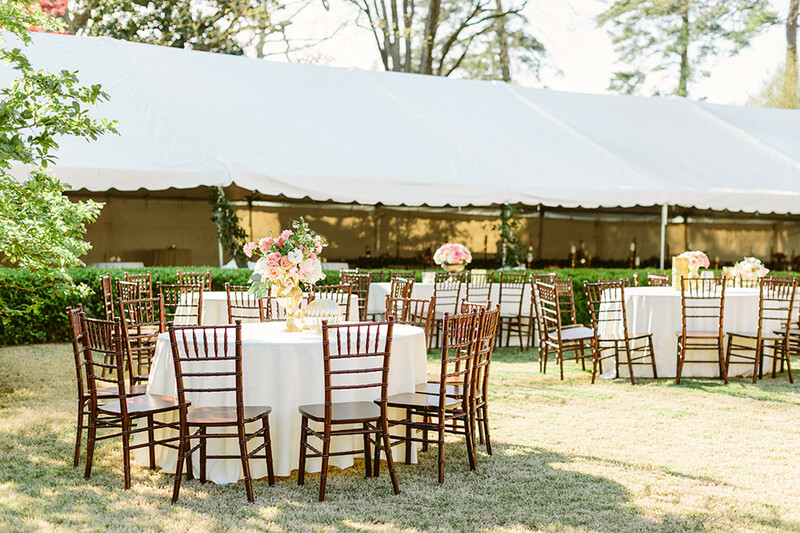 Pieces of the couple’s favorite things were woven throughout the day, such as the Southern menu complete with fried chicken, shrimp and grits, pimento mac and cheese, cornbread, and biscuits. 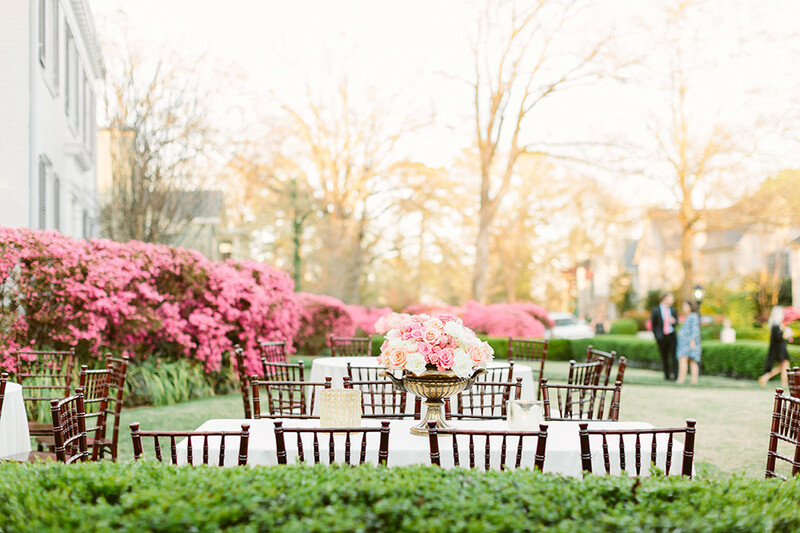 Having the reception at Anne-Elise’s childhood home made the whole evening feel meaningful. 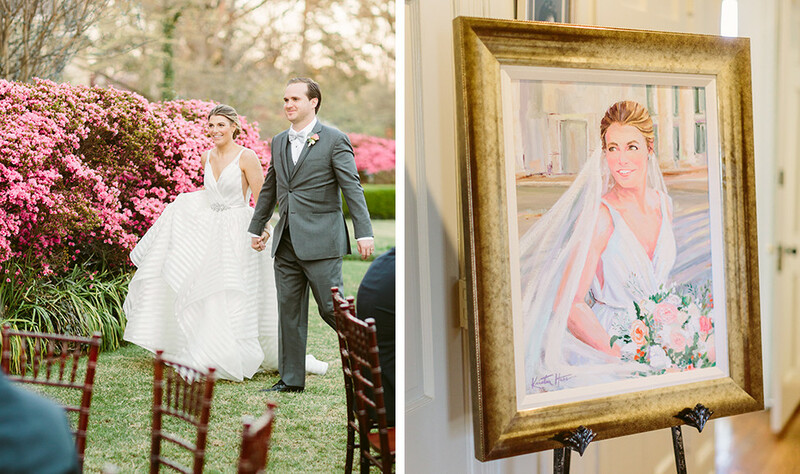 “My family home felt completely transformed, but, at the same time, unmistakably familiar, and it was so special to share it with not only my family and friends, but Brad’s as well,” she says. 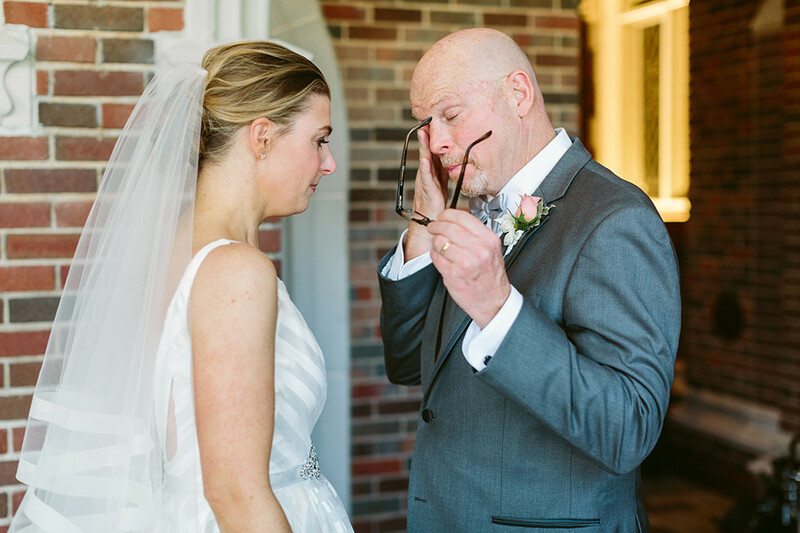 The couple tied in their family heritage throughout the wedding. 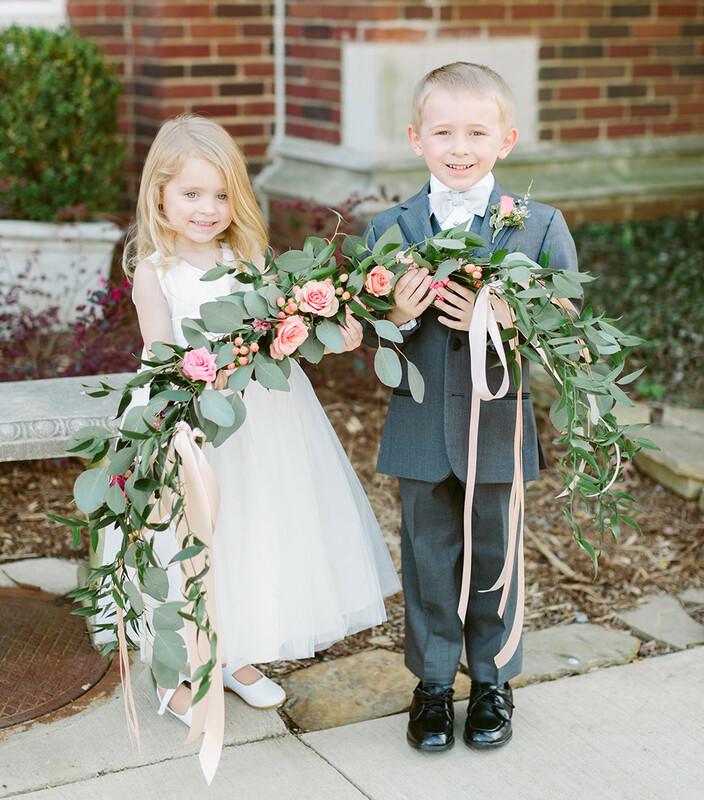 Brad’s favorite flowers, magnolias, were placed in the garland that hung from the fireplace. 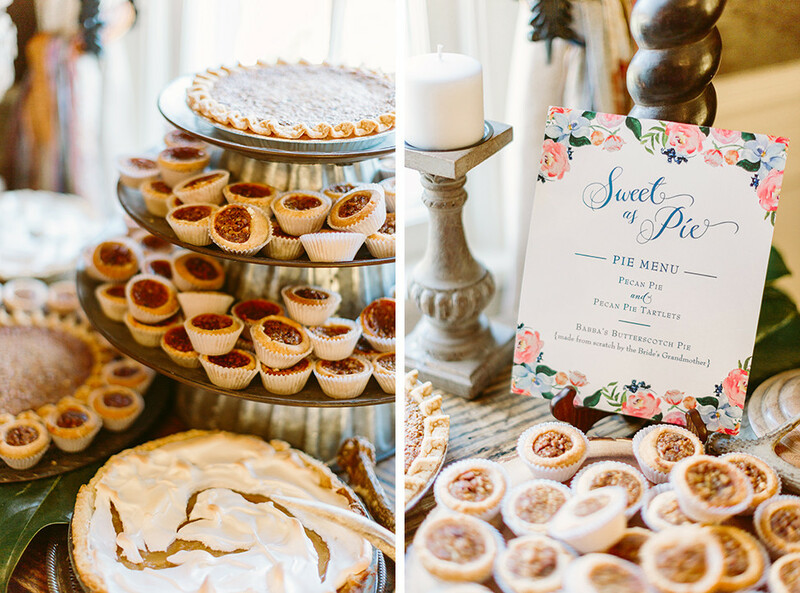 And instead of a traditional groom’s cake, the couple opted for a pie table with three of Anne-Elise’s homemade butterscotch pies. 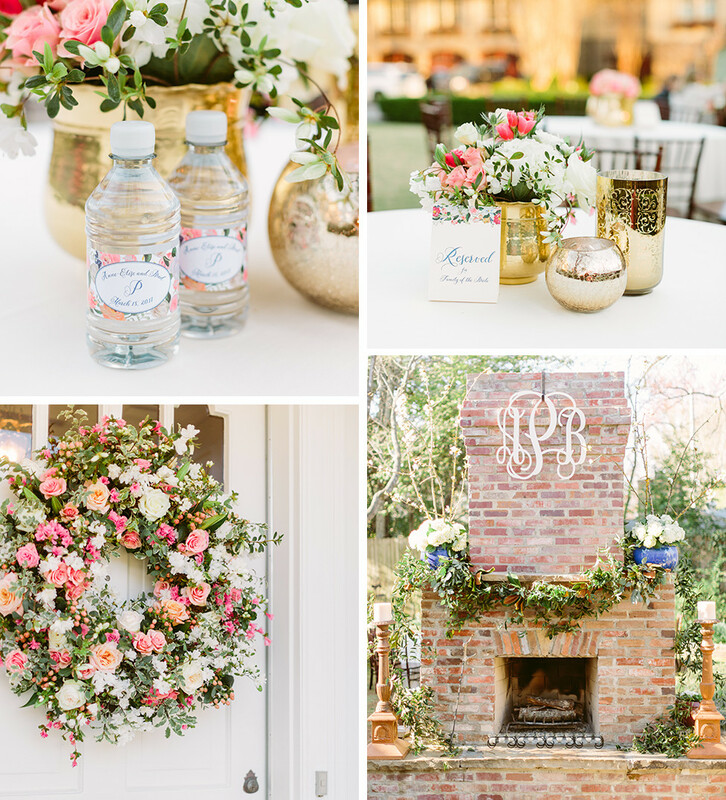 Anne-Elise’s close friend hand-painted a floral wreath for the couple, which was used throughout the invitation suite and on the ceremony program, cocktail napkins, water bottles and all of the signage at the reception. 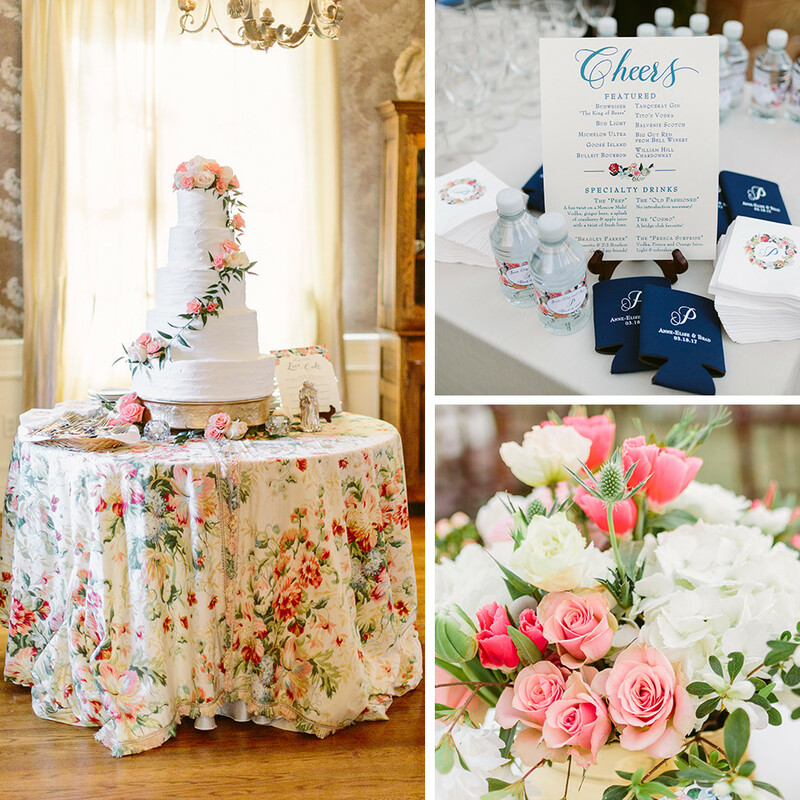 At the reception, Anne-Elise and Brad served signature drinks. Brad’s drink, “The Bradley Parker,” was a stiff 1/3 Amaretto and 2/3 bourbon concoction and Anne-Elise’s drink, “The Peep” (her childhood nickname), was a fun twist on a Moscow Mule. 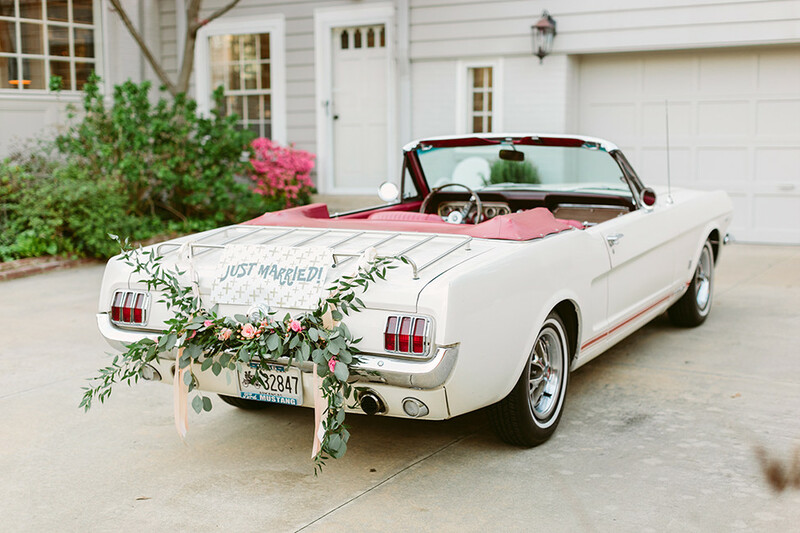 When the night was over, Brad and Anne-Elise left in her dad’s vintage 1966 Mustang convertible, capping off a perfect day.